A rhino is seen in the Rapti River that passes through the eastern sector of the Chitwan National Park in this recent picture. 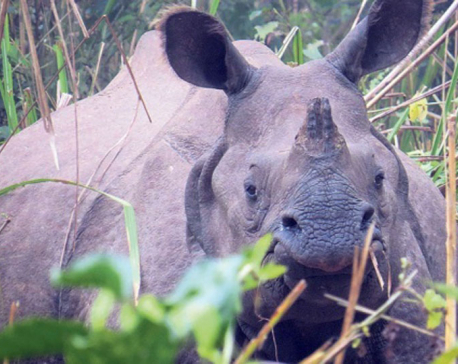 CHITWAN, March 25: On Sunday a female rhino in Chitwan breathed her last. She was spotted dead near a septic tank of a hotel in Jagatpur, Bharatpur Municipality – 23. 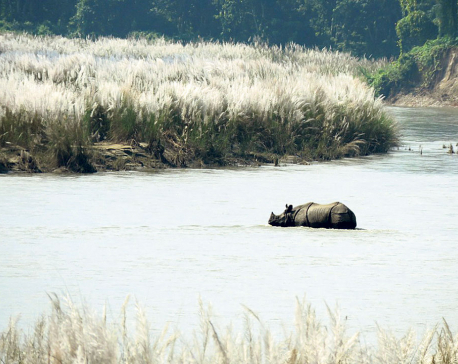 With this, the number of rhinos to die in Chitwan in the last nine months has reached 41.